1. A Dash Rapid Egg Cooker that makes six easy-to-peel hard-, medium-, or soft-boiled eggs in mere minutes. It can also make individual omelets, two poached eggs, and scrambled eggs with included simple attachments. This isn't a personal chef, but it is a personal egg chef, which might be even cooler. The egg cooker comes with a poaching tray, omelet tray, six egg holder tray, measuring cup, and recipe book, and all non-electric parts are dishwasher-safe! Get it from Amazon for $16.19 (available in five colors). For more on the egg cooker, check out If You Love Eggs More Than Your Own Family, Then You Need This Egg Cooker. 2. A mandolin for feeling like a real pro while slicing. This mandolin is the OG — I always spot it on cooking shows and competitions, and for good reason. Once I got one, I couldn't believe how precisely it cuts. It really just makes you want to cook nothing but potato chips and zucchini rounds. The mandolin comes with two julienning blades and a finger guard. PLEASE be careful while using this! I (and my boyfriend's scarred thumb) highly recommend some cut-resistant gloves. 3. A bottle of Mike's Hot Honey whose sweet and spicy flavor profile has made it a unique crowd favorite. It's great on everything from pizza and sandwiches to ice cream and brownies, so get some and get creative. 4. 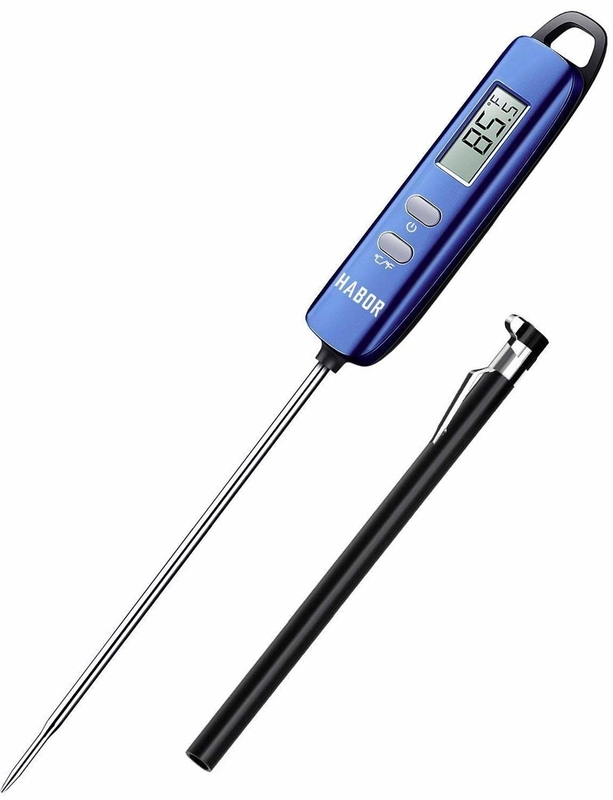 An oven thermometer that, although simple, will take all the guesswork out of making sure your oven is all tuned up. Gone are the days of using "My oven runs hot!" as an excuse for dry chicken. 5. A Krups spice grinder because grinding your spices fresh and making your own blends is just next level tasty. I DARE Gordon Ramsey to yell at you after these efforts. 6. A Imarku Pro Chef's Knife. A new knife is a life-changing investment, and makes cooking such a joy. 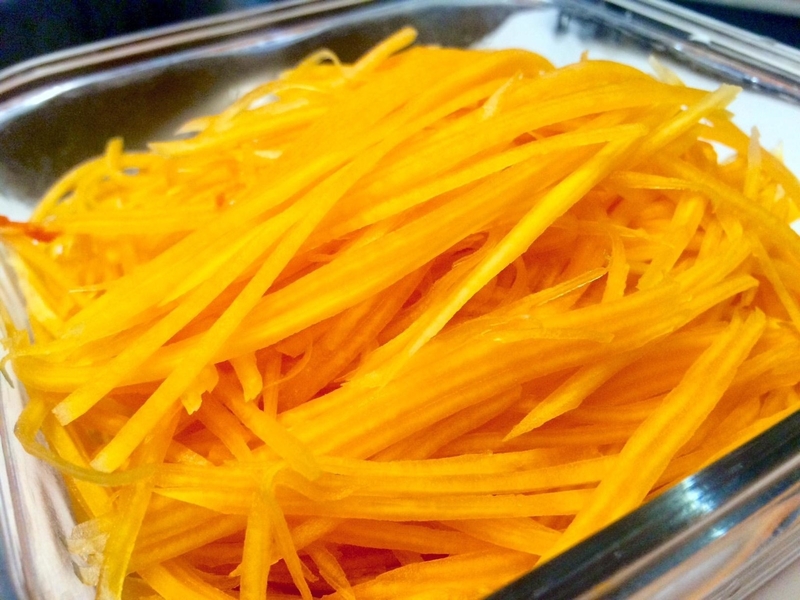 With the right tool, every slice of tomato is a work of art, every diced sweet potato a symphony. Too much? I bought this knife for my parents, and they love it! 7. A pre-seasoned cast iron pan that will elevate almost anything you cook in it. Get chicken skin crispier, vegetables perfectly charred, and cornbread golden and crusted all in one miracle pan. This is the cast iron I have, and it just lives on my stovetop because I use it literally everyday. To clean, simply hand wash (I usually opt for no soap, but you do you) and rub with vegetable oil to keep it nice and seasoned. Get it from Amazon for $14.90 (originally $26.68). 8. 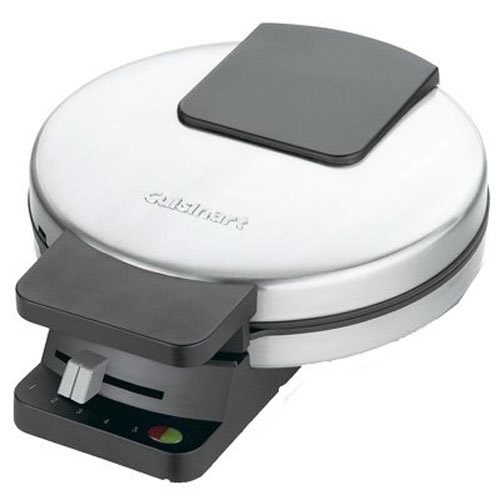 A Cuisinart waffle maker so you can craft your own perfect brunch without having to wait in hellish Sunday lines. It even has a five-setting browning control so you can choose your own crispiness level. Waffle House could never! Get it from Amazon for $26.38. 9. Trader Joe's Everything but the Bagel Seasoning that's — appropriately — delicious on E-V-E-R-Y-T-H-I-N-G. If you don't live near a Trader Joe's, thank your lucky stars that literally everything is available on Amazon. Read more about the seasoning's delish versatility in "I Need To Tell You About This Everything Bagel Seasoning That I Literally Put On Everything I Eat." 10. An 11-piece non-stick cookware set so you're prepared for any kitchen task that may come your way. You can never be too over-prepared when it comes to gorgeous copper pots and pans. The set includes a fry pan, griddle pan, two saucepans with glass lids, a deep cooker with a glass lid and helper handle, a Dutch oven with a glass lid, and a recipe booklet. Get it from BuzzFeed's Tasty Collection at Walmart for $79 (originally $99). 11. 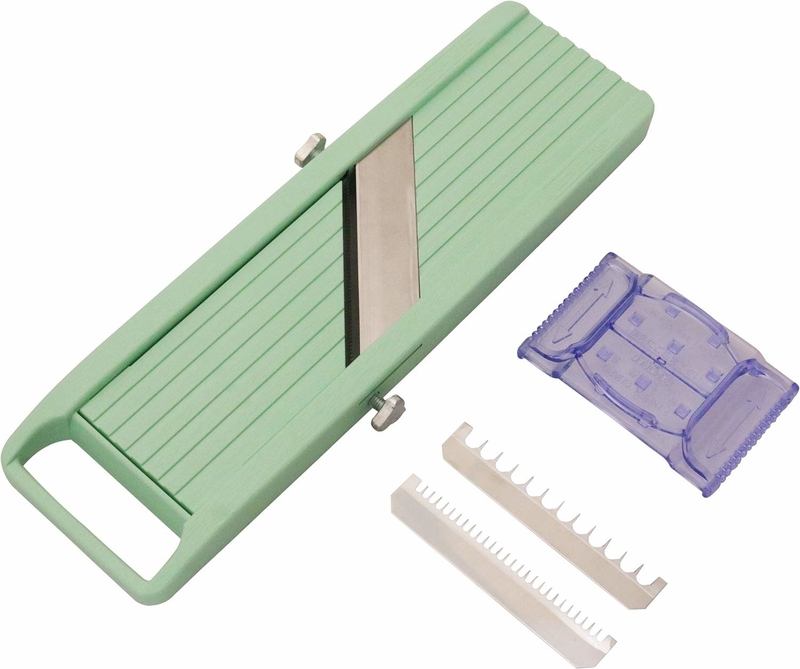 A 3-in-1 avocado slicer to help you perfectly halve, de-pit, and slice avocados easily and beautifully. Enjoy your tenure as mayor of Instagram with all the delectable toasts you're about to make. 12. An Instant Pot for anyone who thinks that slow cooking is — well — too slow. In case you haven't heard, people love this 6-in-1 appliance for its versatility and speed, and those who stan REALLY stan. Get it from Amazon for $58.75+ (available in three-, six-, and eight-quart sizes). 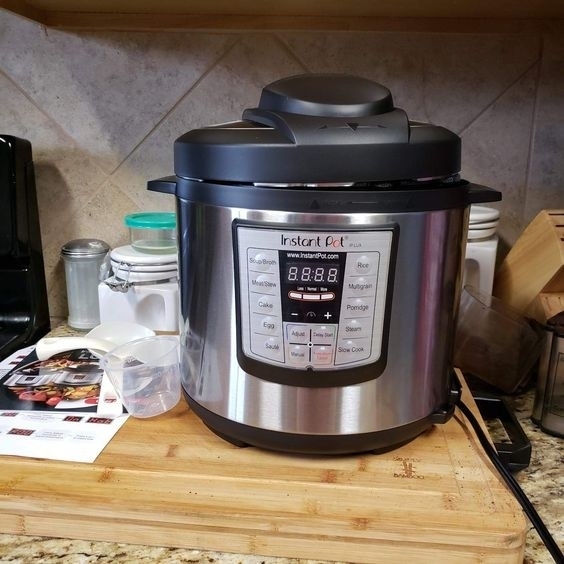 For more on the Instant Pot, check out "I Tried The Instant Pot That Everyone's Obsessed With." 13. A timeless KitchenAid stand mixer your mom and grandma have been swearing by for years. It's definitely an investment, but these are well-made and long-lasting machines you'll have forever. Get it from Amazon for $279+ (available in 44 colors). 14. A Vitamix for whipping up delectable smoothies, soups, nut butters, and much more, quickly and sooooo smoothly. There are Vitamix people and non-Vitamix people, and if you think you're the former, it's time to take the plunge. Get it from Amazon for $249.99 (available in three colors). 15. 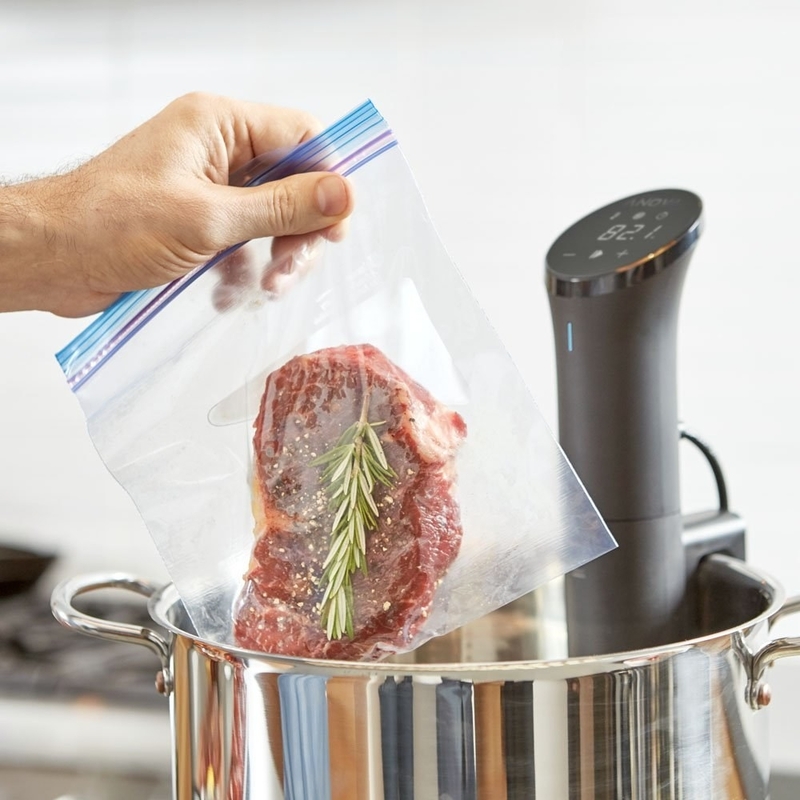 A sous vide that will make crafting your perfect main dish feel like a fun science experiment. 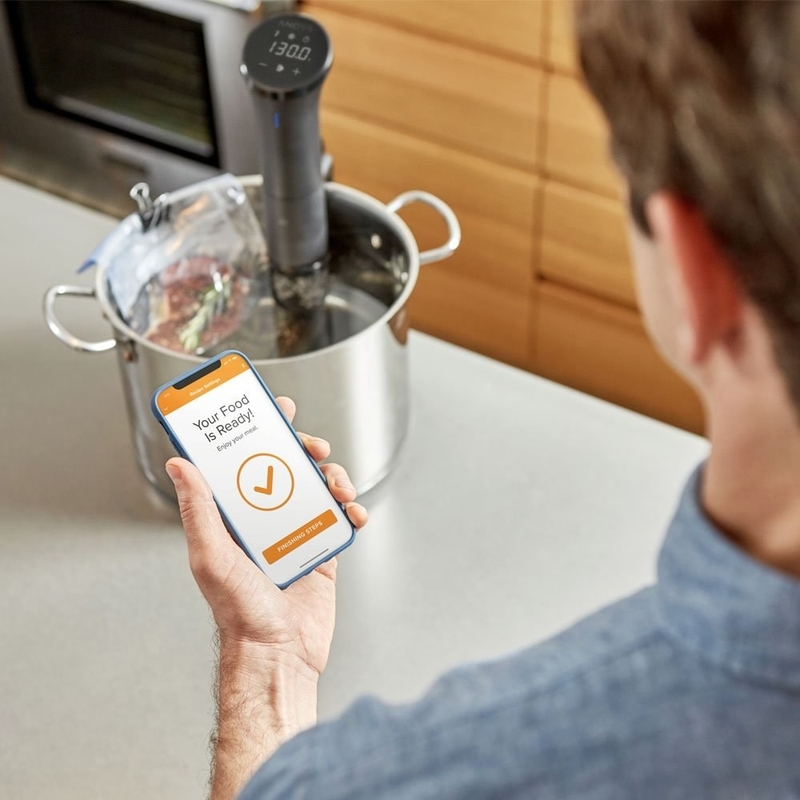 This genius device lets you meticulously control the time and temperature at which your meat cooks, ensuring it's to your exact taste. Get it from Amazon for $97.91. 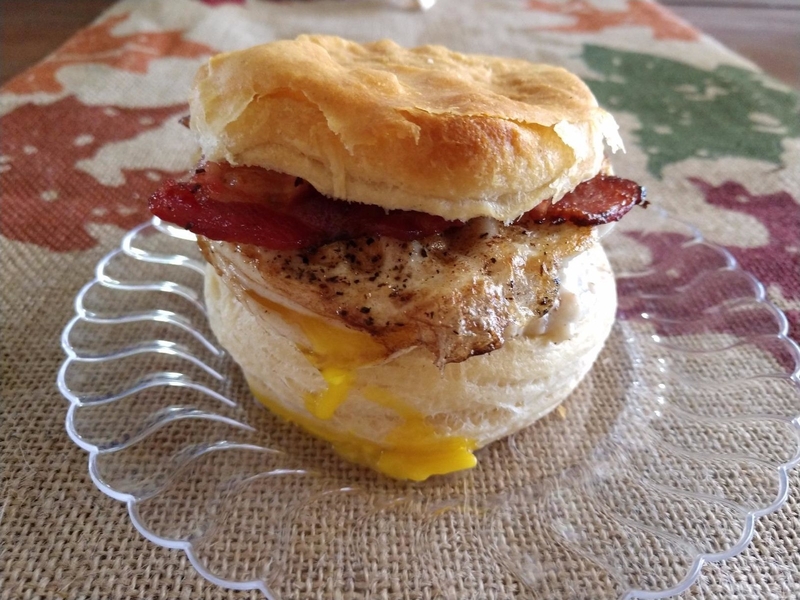 Learn more about sous vide cooking in "I Tried The Precision Cooking Gadget That's All Over Pinterest." It's a different brand but gives you the vibe of the sous vide process if you're curious! 16. A uniquely-shaped wine decanter so you have the perfect accompaniment for all of your meals. Decanting lets your wine ~breathe~ and really ~opens the bouquet~. Yeah, I went on a few dates with a sommelier, no big deal. 17. An OXO basting and pastry brush to keep everything nice and ~juicy~. Whether you're egg washing pastry or painting another layer of juices onto a pork tenderloin, you're going to need this brush more often than you think. 18. 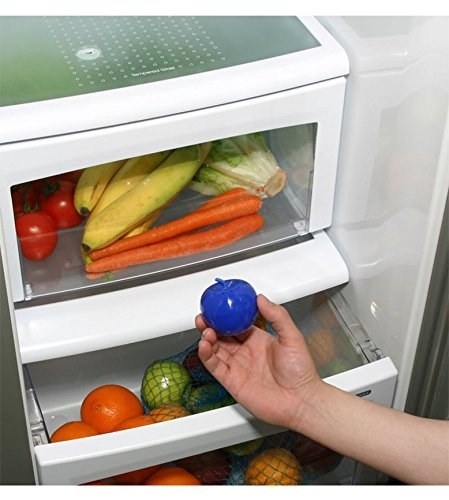 A Blueapple freshness extender that'll keep all of your produce fresh as can be until you're ready to actually use it. Reduce food waste and cook with the most delish produce just by placing this little guy in your fridge. 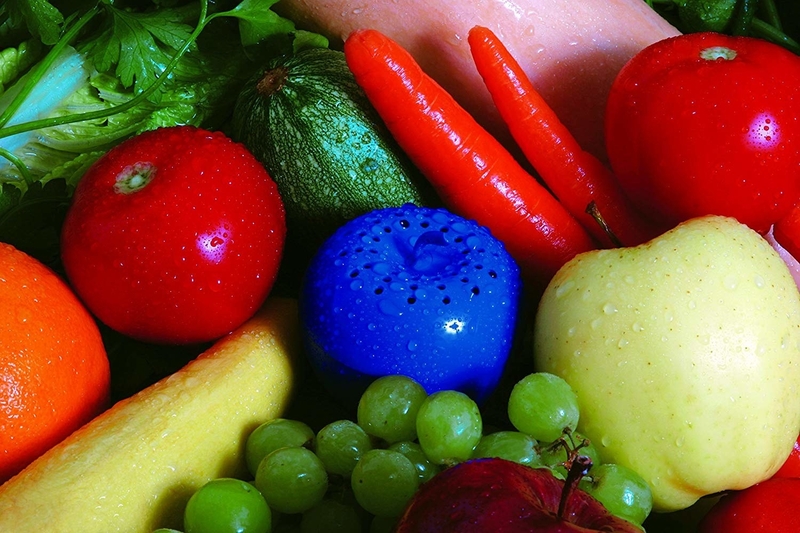 The Blueapple works by absorbing ethylene gas, which is what causes produce to ripen. Each Blueapple lasts for three months. Get a two-pack from Amazon for $18.26. 19. A programmable Crock-Pot for cooking everything the best way — slow and low. This Crock-Pot is perfect for busy people who still want the comfort of a home-cooked meal. 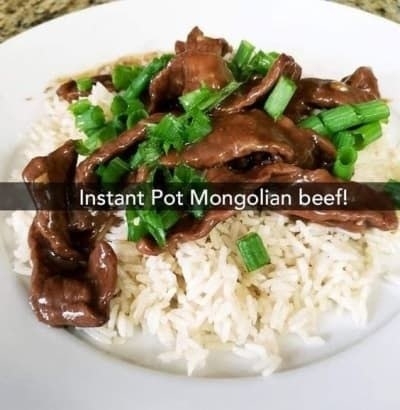 Just set your cook time in the morning and the pot cooks and switches to the warm setting when it's done, so you can come home to a perfect dish. If cleaning a Crock-Pot feels daunting, grab a pack of slow cooker liners for super easy clean-up! Get it from Amazon for $39.99 (originally $59.99). 20. 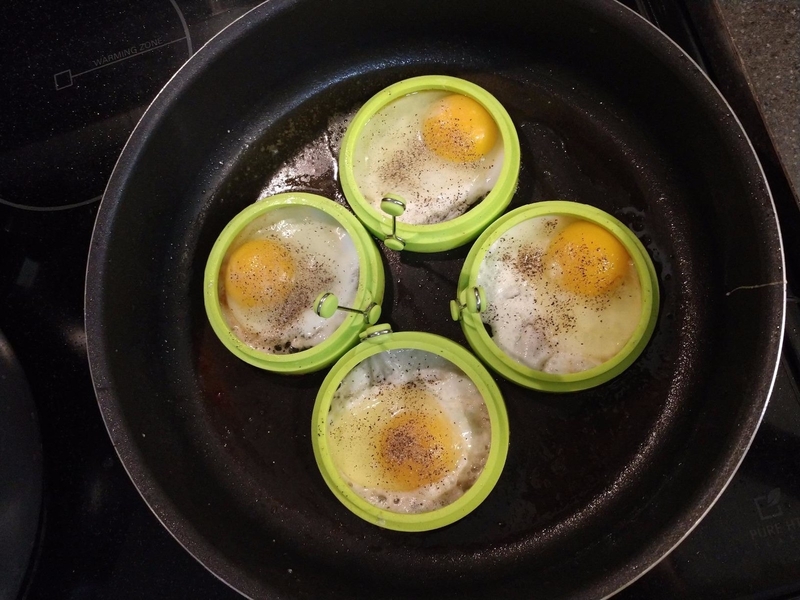 A set of egg rings because there's nothing worse than trying to fry the perfect egg for a breakfast sammie, only to have it spread a thousand miles across your nonstick pan. With egg rings you'll get a flawless egg every. single. time. Get a four-pack on Amazon for $7.98 (available in two colors). 21. A rice cooker and food steamer to whip up a full, healthy meal all in one unit. Yeah, cooking rice in a pot can be easy — if you have nothing to do but watch the stove like a hawk to make sure it doesn't over-boil. This cooker switches to warm automatically when your rice is done, so feel free to watch The Bachelor while dinner makes itself. The rice cooker comes with a steam tray, measuring cup, and serving spatula, is BPA-free, and can cook up to six cups of rice at a time. Get it from Amazon for $17.53 (available in three colors). 22. An adjustable measuring cup that squeegees out its contents. Peanut butter, honey, and other viscous liquids are no match for this handy doo-dad, so go ahead and make all the sticky sauces your heart desires! The measuring cup holds up to two cups and is dishwasher safe. Nobody has the time to hand-wash dirty peanut butter dishes. 23. 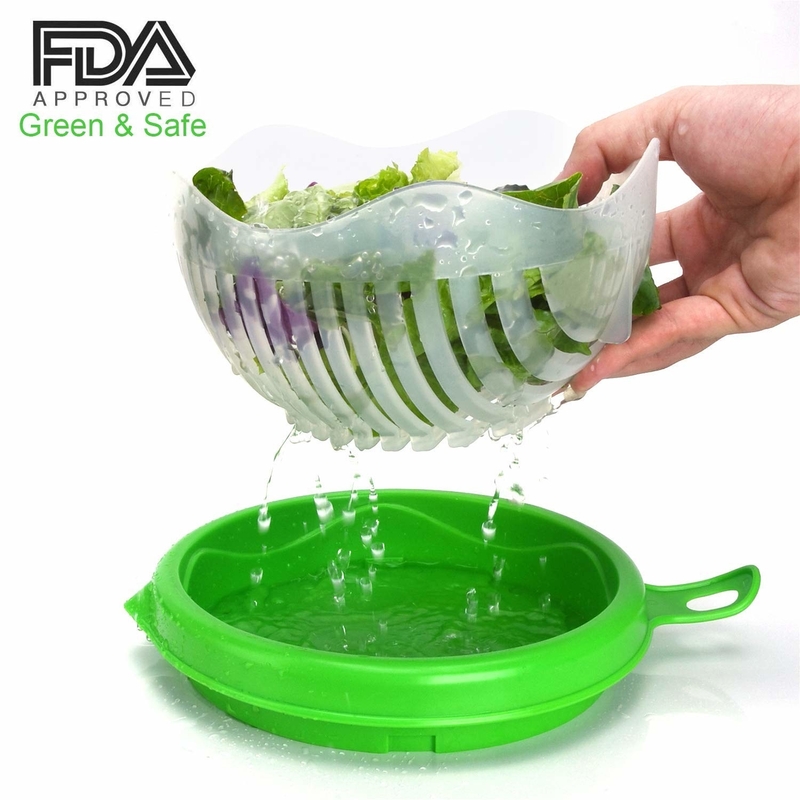 A salad chopping bowl so you can wash, drain, and slice your salad ingredients all in one ridiculously convenient vessel. Now your carrots, lettuce, and cucumbers won't annoyingly roll about about while you try to prepare a simple, healthy lunch. The salad chopping bowl is dishwasher safe. 24. A food scale with a measurement conversion chart because the last thing you want to do in the kitchen is math. Weighing your ingredients allows you to get exact with your cook times and nutrient counts, and is key for Mary Berry-approved bakes. The scale measures grams, ounces, pounds, milliliters, and fluid ounces and measures up to 11 pounds. Get it from BuzzFeed's Goodful line, exclusively at Macy's for $17.49 (originally $35.99). 25. 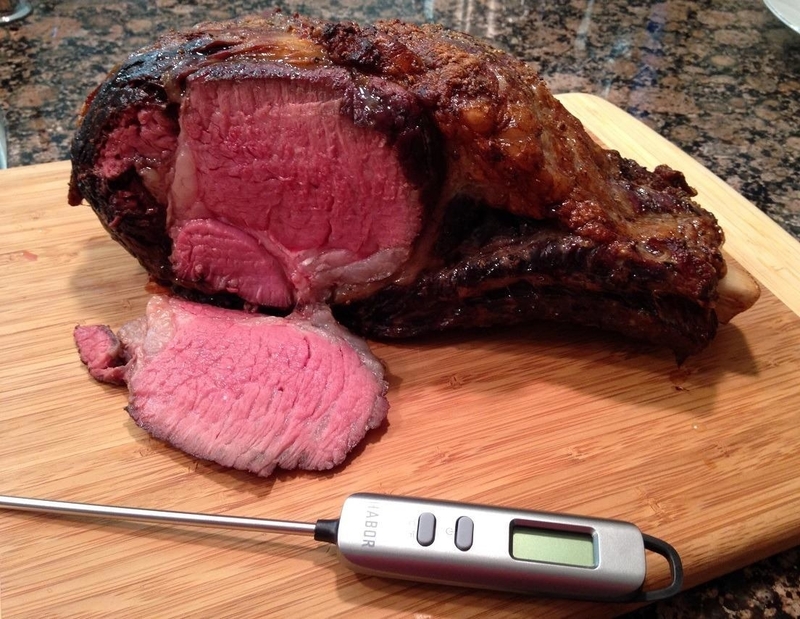 A meat thermometer to ease all of your meat anxiety. Stop poking at hot steak wondering if it's ready and just get some good old fashioned quantitative data. 26. A spiralizer for making classic recipes a little healthier with an easy vegetable swap. Sweet potato pad thai is a thing you didn't know you needed, and this spiralizer can get you there. This is the spiralizer I have, and I love it! 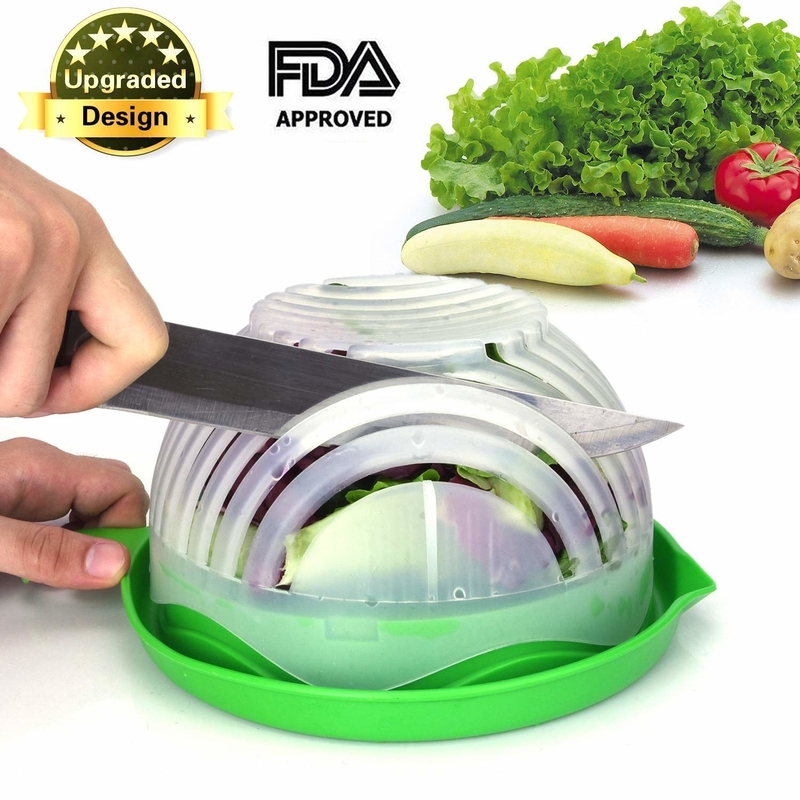 It has a strong suction cup for non-slip use and comes with seven interchangeable blades that fit snugly inside the spiralizer for easy storage. 27. A Cuisinart food processor that will open up culinary doors you didn't even know were there. This incredible machine will let you make your own nut butter, pesto, butter, mayo, salsa, hummus, and bread crumbs *as well as* grind meat, crush ice, shred cheese, knead dough, and slice veggies. You're not dreaming, it's just that good. The food processor comes with an adjustable slicing disc, a reversible shredding disc, and an all-purpose stainless steel chopping, mixing, and dough blade. It's BPA-free, and all removable parts are dishwasher safe. Get it from Amazon for $67.99+ (available in two sizes). For more on my whirlwind love affair with this food processor, check out This Food Processor Is Perfect For Anyone Who Wants To Save Time *And* Money. Enjoy all of your *chef's kiss* meals, everybody! 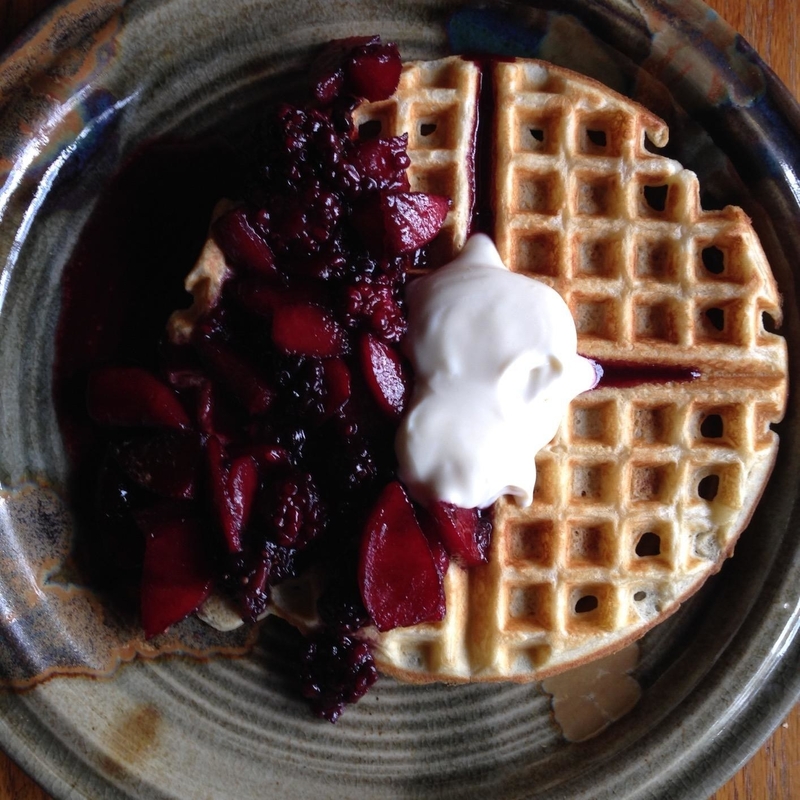 Craving something yummy after reading about all that food? Check out the best places to buy candy, chocolate, and food gifts online!